Meticulous Penthouse located on one of Lake View’s “Hottest Blocks”; 3bed/2 full baths w open floor plan & 3 outdoor spaces. Kitchen cabinets recently studio painted in trending grey - accented with granite countertops and glass tile backsplash; Restaurant grade Wolf range and vented hood, Subzero fridge, Asko dishwasher, GE Advantium oven/microwave. Expansive Master on separate side of condo w en-suite bath, Jacuzzi tub and a private deck with garden boxes hose access. 3rd bedroom/den feature wine fridge, wet bar and additional deck – great for grilling and entertaining. Stunning light fixtures throughout w dimmer switches to create the perfect ambiance. Entire home freshly painted with serene and classic colors. 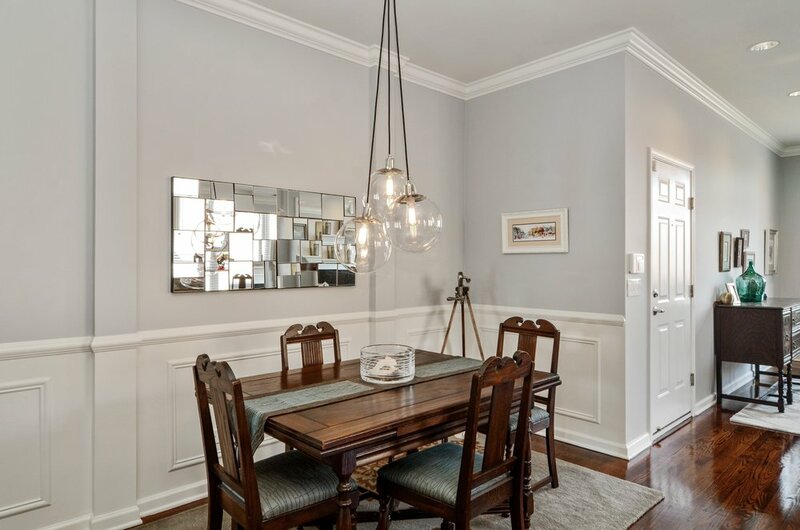 Gas fireplace with custom mantel; Beautiful high gloss dark hardwood floors, crown molding and wainscoting bring sophistication throughout unit; Moen and Groehe fixtures in kitchen and bathrooms. Appliances, furnace and A/C all new within past 5 years. Live in the heart of the Southport Corridor on a quiet, tree-lined street w zoned parking and a short walk to Blaine Elementary & the festivities at Wrigley Field.